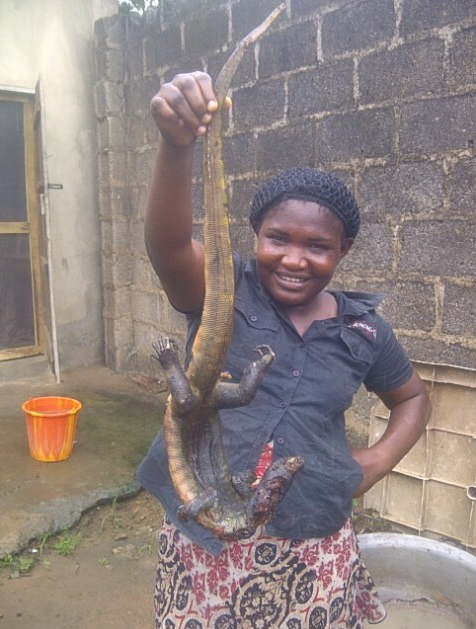 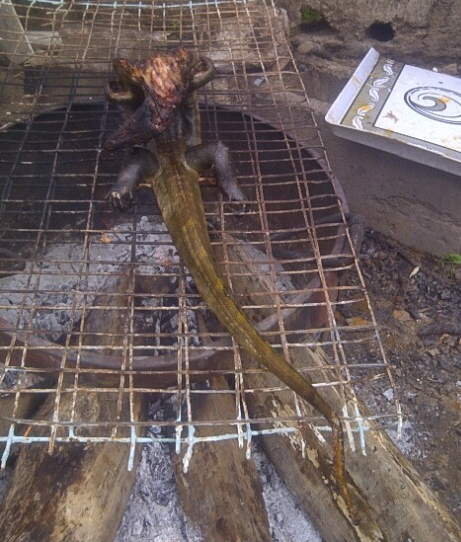 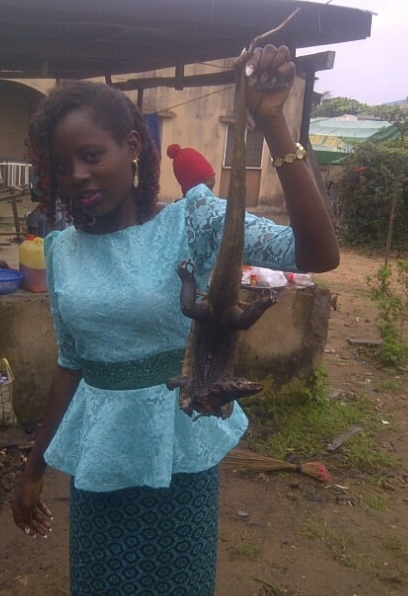 Last week Thursday, this Monitor Lizard was caught by a house owner in Abeokuta the capital of Ogun State. 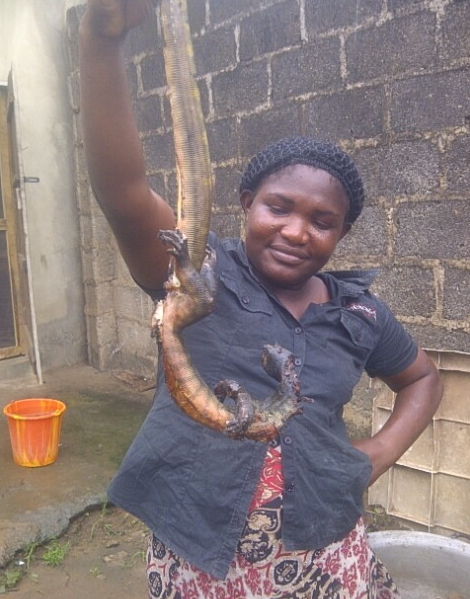 The owner claimed the reptile has been disturbing tenants since it find its way into the ceiling about 3 months ago. 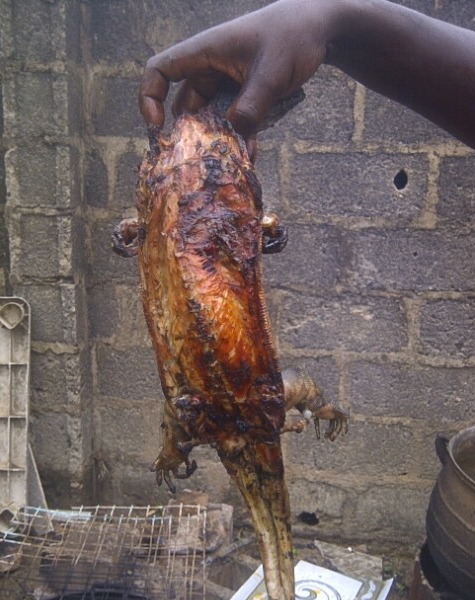 It was caught when it dropped down from the ceiling on Sallah day.